If Trevor wasn’t a Napa Valley vintner he would either be a musician or a professional baseball player. I just finished my 9th vintage in the Napa Valley, although that was my 15th vintage overall. Early in my winemaking career, I recall trying the Beaulieu Vineyard 1968 Georges de Latour Private Reserve Cabernet Sauvignon with a family friend, and it not only left an indelible impression on me, but it shaped the path in which I wanted to take my career and the wines I wanted to create. I think cultivating excellence has two separate meanings for the winery and for the land. 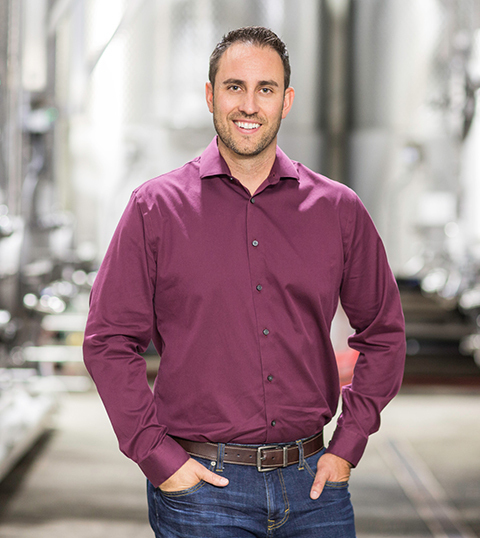 When it comes to the winery, it’s about the team and empowering employees to do their best, giving each member a sense of ownership and cultivating a meaningful environment within the team. The other meaning references the natural viticultural aspect. It’s important to start with the vineyards, nurturing the highest-quality Cabernet Sauvignon grapes. It’s important to allow the wine to express the region it’s from, rather than to over-manipulate the production process. The number one differentiating factor is the weather because it’s among the best in the world! Napa Valley isn’t big; however, the terroir and soil profiles are so varied. The west has more iron and foliage on the mountains while the east is more volcanic with magnesium in the ground. At BV, we’re making a significant effort to honor and highlight the past, while thinking about what’s next for the brand. In terms of sustainable practices, we’re making sure we know where our waste goes, having a better understanding of water conservation, and holding ourselves to a certain standard to improve our water and energy usage annually. Our goal is to approach zero waste. I would be a musician or a professional baseball player. My dream would be to play as a pitcher for the San Francisco Giants if I could only break 90 MPH. My advice is simple – just make sure to enjoy what you’re doing and don’t lose sight of that at the end of the day. I had the opportunity to throw out the first pitch at Camden Yards. It was an exciting moment being such a huge baseball fan, and I even threw a strike! It’s important to allow the wine to express the region it’s from, rather than to over-manipulate the production process.